We all love a north-facing property. Hours of bright sunlight, a calm, light feel to living rooms and communal areas - a beautifully warm patio perfect for spending balmy summer nights beside the BBQ. Aspect is now listed amongst one of the most important things buyers look for when surveying properties - with those facing north and northeast attracting the most attention. So how can you maximise the potential when the north is nowhere to be seen from your perspective? Here we share our top tips for selling a south-facing property. Homes facing squarely south struggle with ventilation - as the different temperatures inside and out contrast greatly. If you’ve lived in a property for some time you may have got used to a slightly damp or musty smell - but potential buyers will notice this straight away. There are various inexpensive, minimally invasive options to help you to eliminate damp in your home - such as dehumidifiers, fan systems and mechanical heat ventilation which circulates air through your home. Where you do have natural light coming in, make the most of it. Most southern-facing properties will have a slither of space at least facing north - so maximise this when speaking to potential buyers. Even though you won’t enjoy bright sunlight all day long, you can make a point of saying that the sun pours in whilst you have your breakfast or tell them how the patio is bathed in warm sunlight each evening. 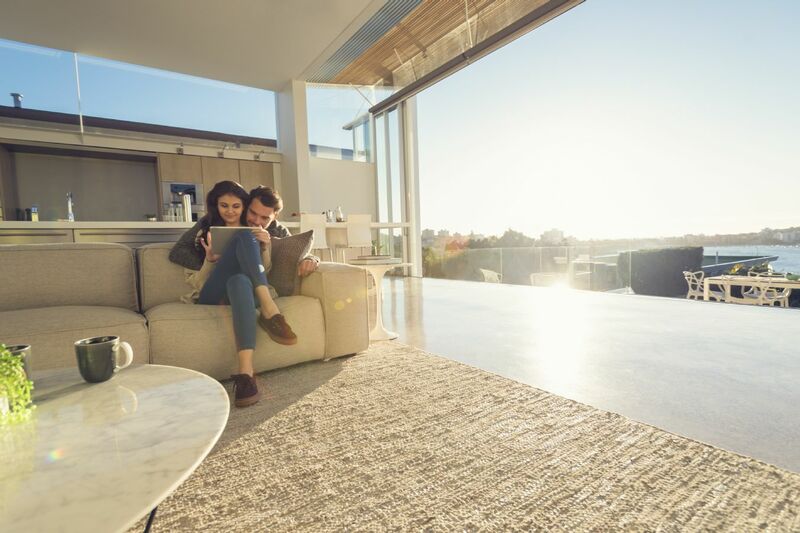 Sell them a lifestyle they can envisage and enjoy - and appeal to the side of buyers that needs them to be able to picture themselves settling into your property. In bungalows and single-storey areas of your property skylights can be game-changing. Allowing light to flood a space from above, just one or two can lift and brighten what was previously a dark and dingy room. Extra windows and glass doors heading outside can also make a huge difference. It may seem paradoxical, but where rooms are unavoidably dark adding ambient lighting in the form of lamps and lighting that mimics natural brightness can help. This will not only enhance your living spaces - it will also attract buyers when they come to view your property as they won’t notice that it is darker than most, even during the daytime.